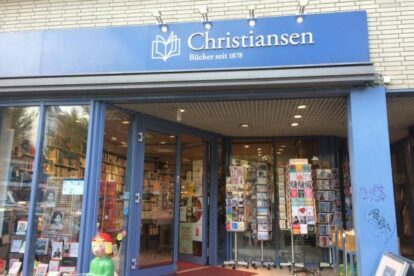 The oldest family-run bookstore in Hamburg is the Christiansen Buchhandlung in Ottensen. Since 1878, the book store is run by generations of the Christiansen family. The small bookstore offers everything a lover of a good read needs: competent personnel, a wide variety of genres and a cozy atmosphere. At Christiansen, you will quickly learn that the people working there are experts in the field of books. They answer your questions eagerly and know everything about the latest bestsellers. I personally love going to Christiansen whenever I need a book present for friends or family members – especially when I have no idea what to get for a particular person. The people working at Christiansen take their time trying to figure out more about the present-ee, what they like to read and what they might like. And, I must say: the employees at Christiansen have never been wrong! I (and the people who have received book presents) have always been happy what the employees at Christiansen chose for me or my friends!